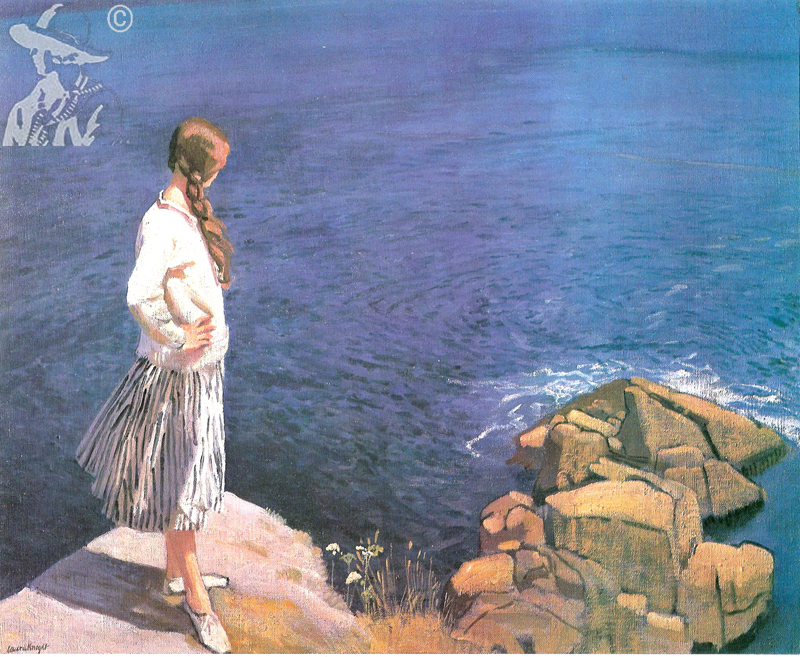 Depicts Marjorie Taylor stood on rocks overlooking sea on the western coastal path from Lamorna before Carn Silver and the Memorial Cross. Marjorie born 1900 a daughter of a Penzance coal and hardware merchant. The rocks are not far from the hut specially built for the artist on the instructions of Colonel Paynter, the local squire. The Colonel was nicknamed “Coal and Painter” by the village children.